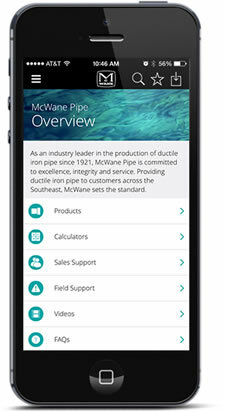 At McWane Gulf, our experienced sales staff is always available to assist. We strive to be the leader in customer service and satisfaction by being easy to do business with and furnishing quick and accurate information. The McWane plant in Abu Dhabi was built to work closely with Middle East customers and focus on their specific needs. We believe that being present in the region will build a growing partnership with our customers and keep us ahead of their expectations. Please contact one of our knowledgeable team members for help with your next project.